Reigning Champion John Isner will take on Roger Federer on Sunday in the final of the ATP Masters 1000 tournament in Miami. John Isner had the best moment of his career last season here in Miami, winning his only Masters 1000 title, and he surprisingly managed to reach the final again this year. Isner had an incredible road to the last act: beating Sonego, Ramos, Edmund, Bautista Agut and Auger Aliassime in straight sets, playing 9 (nine!) tiebreaks in 10 sets and winning them all!! Federer was rusty in the start of the tournament after reaching the final last week in Indian Wells, and he was in trouble in the opening match against Albot. It looked like he may be tired after IW, but eventually Roger came from behind to win that 2-1, and cruised the rest of the way, improving his level match after match. Federer went on to defeat Krajinovic, Medvedev, Anderson and Shapovalov in dominant fashion to reach this final. Bet on Isner vs Federer and get your 100% (120 Eur) welcome bonus at LSbet now! Federer leads the H2H 5-2 (4-1 on hard courts and 4-0 on outdoor hard). The last meeting was way back in 2015, but still the H2H is important here because we know how well Federer reads and plays against big servers. We actually saw that earlier this week as well, when Roger dismantled Anderson`s serve for a 6-0 6-4 win. Reading Isner`s set results this week in Miami might give you vertigo: 7-6, 7-6, 7-5, 7-6, 7-6, 7-6, 7-6, 7-6, 7-6, 7-6. 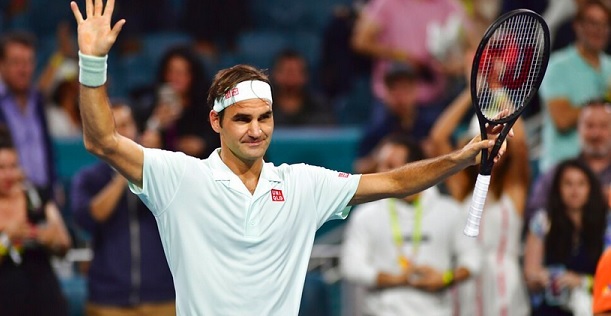 The American is clearly feeling great here in Miami and will come into this match super confident based on last year`s title run and on the fact that he won 9/9 tiebreaks this week (this in itself being a proof of his confidence). But facing Federer in the final might be too much for Isner, and might be the moment when he finally breaks down this week. Federer has been playing very well since the start of Indian Wells almost three weeks ago, and he has been in blistering form over his last three matches here in Miami (Medvedev, Anderson, Shapovalov). Surely Roger won`t lose another final after surprisingly collapsing in the IW last act against Thiem. Especially not considering how well he plays against big servers. However, backing Federer here is tricky given how well Isner has been serving (Isner did lose serve 5 times this week but also faced some top class returners). The straight win at odds 1.25 is combo material at best, while taking Federer to win 2-0, or to cover the 2.5 game handicap, doesn`t seem like good value at odds around 1.80. The way Isner has been serving this week you would expect at least a tiebreak here, and you have to give Isner 50% chances in a tiebreak given that he is 9/9 in them this week. Thus, no value for the bets mentioned above. Backing a first set tiebreak to occur seems like the best option in this match. Isner has been a tiebreak machine of historic proportions this week and surely he will come out with massive confidence in his serve. Federer is not the best returner, so even if he reads big servers well, it might take some time until he can start putting pressure on Isner. On the other hand, Federer is rarely troubled on his own serve by big guys like Isner, so he should stay safe on his delivery maybe for the entire match. Looking at the previous meetings between these two, 4 of 7 had a first set tiebreak, including the last two. In fact, 5 of the last 7 sets played between these two ended in a tiebreak. Also 4 of the 5 matches played on hard courts saw over 12,5 games in the first set. Considering Isner`s unbelievable tiebreak record this week, the way both players are serving (and playing), the H2H results and the matchup, betting on a first set tiebreak to take place makes a lot of sense. Will it happen? No way to say for sure, this kind of bet is always volatile, but taking everything into account chances for a first set tiebreak seem well over 50%, maybe 60+%, meaning odds have value. My tip will be a first set tiebreak to occur (or over 12,5 games in the first set). Prediction: John Isner – Roger Federer 6-7 4-6.